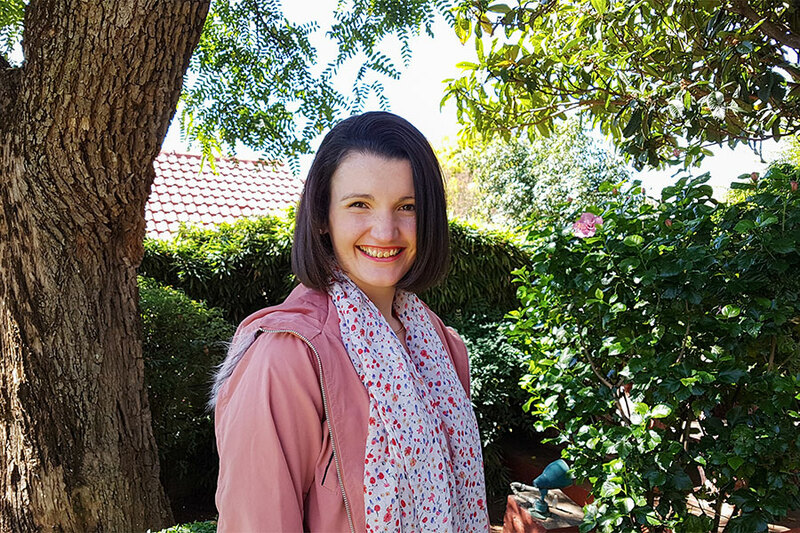 Gemma Ritchie (C’17) was recently named one of only five fellows in a program designed to develop the next generation of investigative reporters in South Africa. The new program was launched in partnership with Wits Journalism, Rhodes School of Journalism and Media Studies, and the Open Society Foundation. The fellowship program will begin in February with a six-month residency at the University of the Witwatersrand (Wits) in Johannesburg. Ritchie will then head to Rhodes University in Grahamstown, where she will conduct research and develop major investigation on a chosen topic in partnership with a local newspaper. Later, she’ll intern at one of the partnership organizations to further develop her investigative reporting skills and produce a portfolio of work. In all, the program will include one year of study, a six-month internship, and attendance at international investigative reporting conferences in Germany, South Africa, and the U.S.
Ritchie majored in English at Principia College, serving as editor of the Pilot (the student news magazine). She also served as both a board member and co-director of the International Perspectives Conference, and traveled on the England Abroad in 2014. Ritchie interned at the Wordsworth Trust in England the summer before her senior year, conducting research for the curator and giving educational tours of Dove Cottage, where poet William Wordsworth lived. Following graduation, she returned to her home country of South Africa to pursue a career in journalism and was soon hired at Mail & Guardian in Johannesburg to create news content on a range of topics and maintain the brand’s social media presence on Facebook, Twitter, Instagram, and Google+. For the last six months, she’s covered the economy and industry for the paper's business section.